This Lakeside 70550 green Condi-Express 6 pump dual height condiment cart offers versatility and easy of sanitation in a convenient, mobile cart! 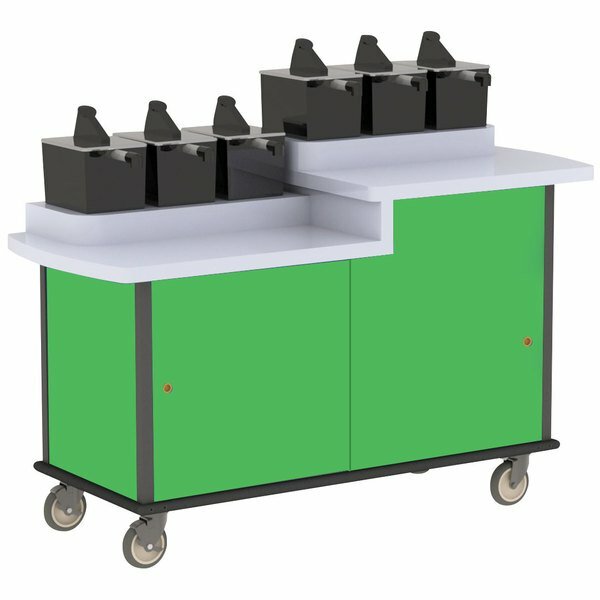 Use this cart in your cafeteria or school lunch room to provide all of your customers' favorite condiments in one accessible spot. This cart offers a 6 pump design, which means that you can serve up to 6 condiments at one time. Plus, its dual height counters make condiments accessible to students of all ages. This dual height condiment cart features one 36 1/2" high counter which holds three condiment pumps, along with one 31" high counter which also holds 3 condiment pumps.